Selective salvation, as mentioned in the previous chapters, is the belief God has chosen certain people to go to Heaven and Hell. This choice, which was made long before the universe was even created, has nothing to do with the person’s longing for God or the attitude of his heart. It has nothing to do with the person’s humility, repentance, or his search for righteousness. It has nothing to do with God’s foreknowledge of who will become Christians in the future. This doctrinal system is often referred to as "Calvinism," "Predestination," or "Election." The "opposite" of Calvinism is often called Arminianism. As you will soon see, Calvinism and Arminianism are not actually opposite of each other. They do, however, oppose each other on some issues and this has led some to assume that if you are not a Calvinist, you must be an Arminian (or somewhere in-between.) This is not necessarily true. In order to explain what I mean, it is important to provide you with some information on Calvinism and Arminianism. Calvinism and Arminianism are, of course, very complex subjects and involve more issues than just selective salvation. Although I will focus most of my attention on selective salvation, I will cover some of their other central themes. Calvinism, named after John Calvin (1509 - 1564), focuses on the sovereignty of God. 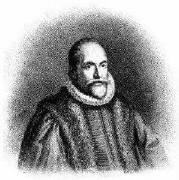 Arminianism, named after the Dutch college professor James (Jacob) Arminius (1560-1609) focuses on the free will of man. Although these men were strong promoters of their respective doctrines, these theological positions did not originate with them. Similar teachings have been traced back 1600 years ago to the "Eastern Fathers" (free will) and to Augustine (sovereignty of God). According to this theology, Christ did not die for everyone. He only died to pay for the sins of the elect. Since the person has no say in his eternal state, there is nothing he can do to gain or lose his salvation. As a result, the person has "eternal security." Although I personally believe in "eternal security," I do not believe it has anything to do with selective salvation. Please refer to the Chapter "Mama Wouldn’t Let Go" –(Eternal Security) for more information. Arminianism is very different from Calvinism. The Arminians put a strong emphasis on the "free will of man" and they believe man controls most aspects of his own life. Man’s freewill to choose his own destiny is central to this belief system. Arminians do not believe God has forced certain people to go to Heaven and Hell. Arminians believe people can choose (out of their own freewill) to accept or reject God’s forgiveness. They also believe a person who is already saved can choose to reject God. As a result, a person can lose his salvation. While some Arminians believe a person’s salvation can only be lost because of major unrepentant sins, others believe a person’s salvation can be lost several times a day. Arminians also believe Christ’s death on the cross did not pay for our sins. They say "Christ suffered for us rather than ‘paid’ the penalty sinners ‘owe.’ " They feel if Christ paid for our sins, then everyone would go to Heaven. Arminians teach that, "Christ suffered for everyone so that the Father could forgive the ones who repent and believe; his death is such that all will see that forgiveness is costly and will strive to cease from anarchy in the world God governs." (Source: Evangelical Dictionary of Theology, p 79-81) This view is called the Governmental Theory of the Atonement. Arminians say Christ was not punished on the cross; instead He suffered on the cross. They say there can "only be punishment or forgiveness, not both." This position, of course, raises many concerns. It is saying the death of Christ on the cross was not necessary to save us. It is saying that the Sacrificial Lamb didn’t need to shed His blood to cleanse us from our sins. It is saying that God could have simply forgiven us without having to satisfy His righteous and holy nature. I find all of these issues very troubling. Let's go back to Calvinism and the doctrine of selective salvation. Is God wrong for sending some people to Hell? Of course He isn’t; we are all sinners and deserve Hell. Is God just and righteous in allowing sinners to enter Heaven? Yes, the atonement of Jesus on the cross did satisfy God’s righteous nature. Christ paid the penalty we owed for our sins. Would God be just if He arbitrarily chose who could go to Heaven? Obviously, a sovereign God can do whatever He wants. Yet, God will act in a manner that is consistent with His nature. He will not violate His own rules of fair play. He will not violate His codes of righteousness and justice. The premise of selective salvation completely contradicts everything we know about God from the Bible. It is important to understand that according to Calvinism, God’s choice of the elect has nothing to do with His foreknowledge of those that would eventually become Christians. It does not have anything to do with God’s foreknowledge of who will eventually be repentant, sorrowful of sins, or desirous of God. The condition of a person’s heart has nothing to do with God’s selection. God could have just as easily chosen to save the very people He is sending to Hell. These facts are clearly laid out by the founding fathers of Calvinism. According to Calvinism, no one has a repentant spirit, a sorrow for sins, and a desire to seek God. Man in his fallen state is completely reprobate and has no desire for God. They believe the only reason a person would seek God (and thus become a Christian) is because God put these desires in his heart. They believe the unsaved person is incapable of having these attributes. These desires can only come from God and they only come to the elect. Selective Salvationists say the targeted person has no choice in the matter. The targeted person does not get saved because he is sorrowful for his sins or loves God, but because God forces these feelings on him. This is called "irresistible grace." According to Calvinism, once God puts these attributes into the person’s heart, the person has an irresistible desire to want God. This irresistible desire forces him to choose to become a Christian. Therefore, this person is considered to have a "choice." This is why Calvinists can say the doctrine of selective salvation is not inconsistent with the rest of the Bible that talks about choice. It is important to understand that this person cannot choose to reject God. His only "choice" is to accept God. It is impossible for anyone who is part of the elect to reject God and go to Hell. 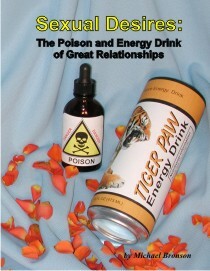 The information in this section has been obtained from a large variety of sources. A summary of these doctrines, however, can be found in most theological dictionaries. Your church library should have these resources. The Evangelical Dictionary of Theology (Walter Elwell, Baker Publishing) is a good resource. The following chapter (Are You a Calvinist, Arminian, or in-between?) provides more information about Calvinism and Arminianism. It talks about some of the confusion many people have concerning the two views.